Hamilton – August 2011 // For a while now, I’ve been meaning to return to Hamilton’s Red Hill Valley bike trail. I rode it, unfinished, two years ago for BikesandTransit.com and was eager to get back now that the trail was completed. 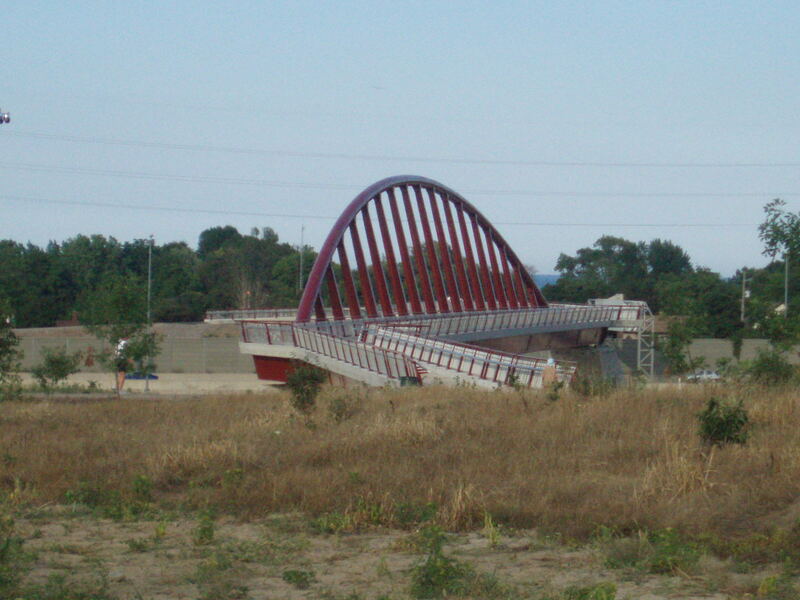 What’s new and exciting about cycling in east Hamilton these days is the pedestrian bridge that opened in May. 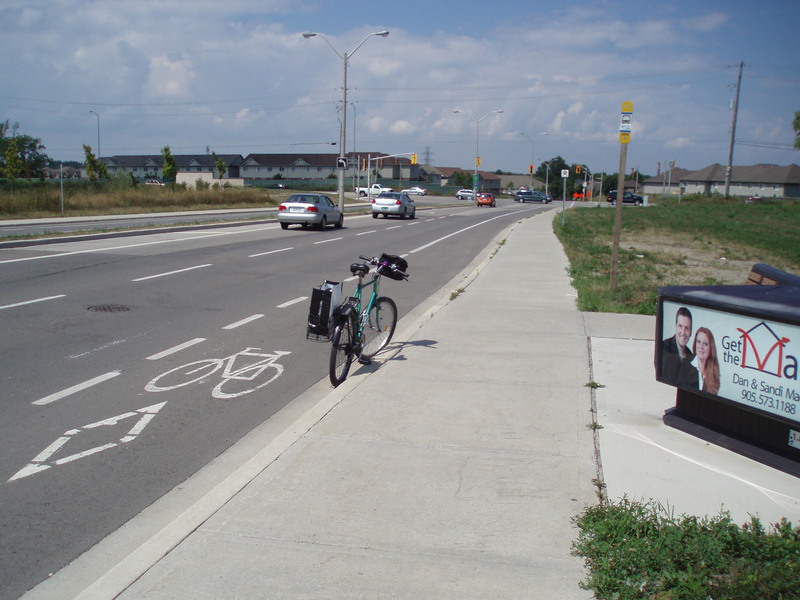 It spans the QEW and links the Red Hill Valley trail with the Waterfront Trail. 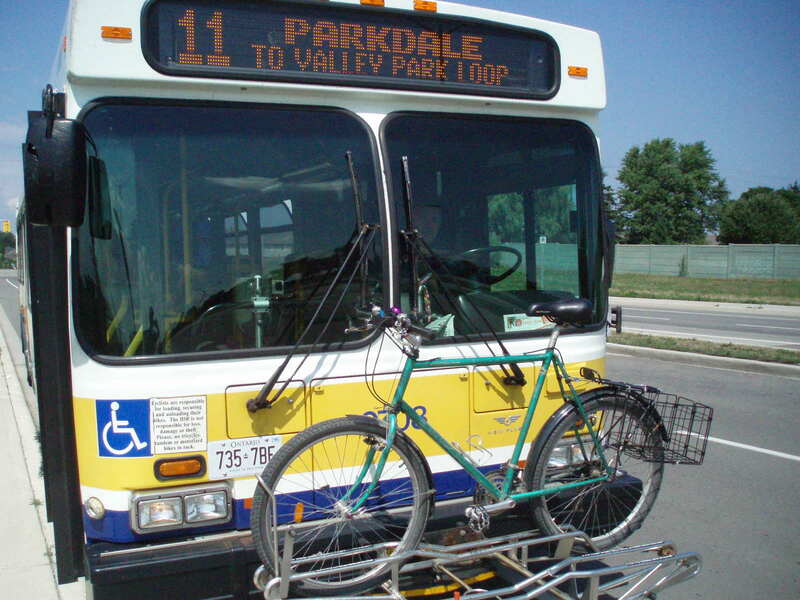 What’s also exciting about cycling all over Hamilton is every HSR city bus has a bike rack. 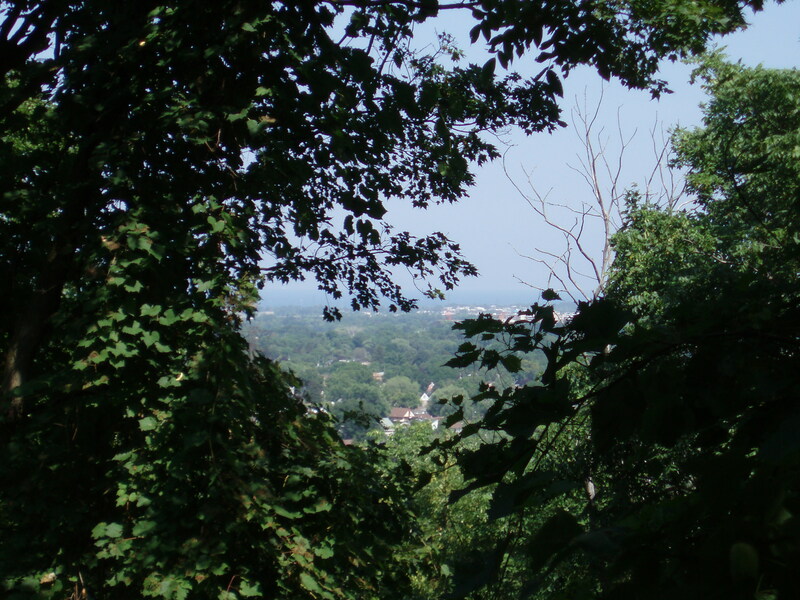 With a bike map and a bus schedule, it’s easy to hop the right bus to get your bike, up, up, up the Niagara Escarpment. But what is the best way to get to Hamilton to catch an HSR bus? Check HSR’s online transit maps and schedules to find Bus #11 Parkdale that picks up on John St. down by the Lake in downtown Burlington. 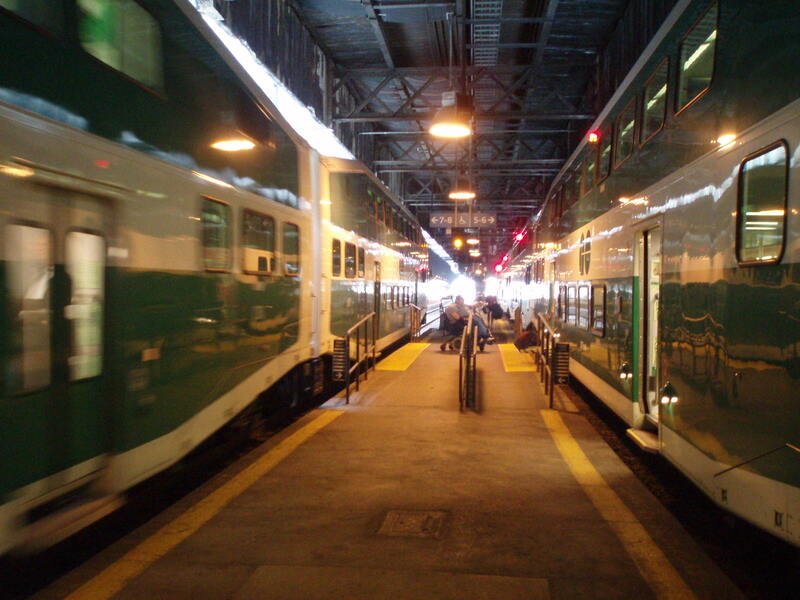 To get downtown, take the GO train to Burlington station, then ride your bike down Brant St. to the bus at John and Pine Streets. 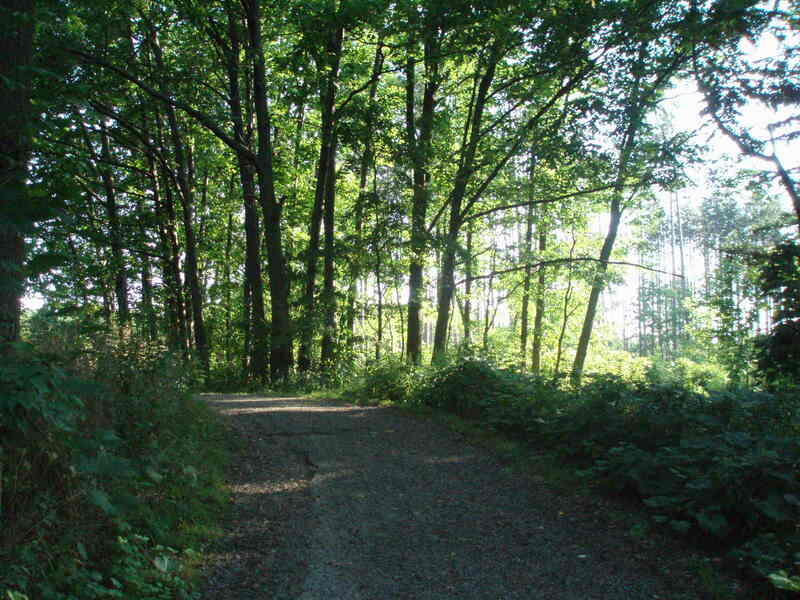 – or – Make a great big day of it by getting off the train earlier at Burlington’s Appleby station to ride the Centennial Trail seven kilometres diagonally southwest to Old Burlington. 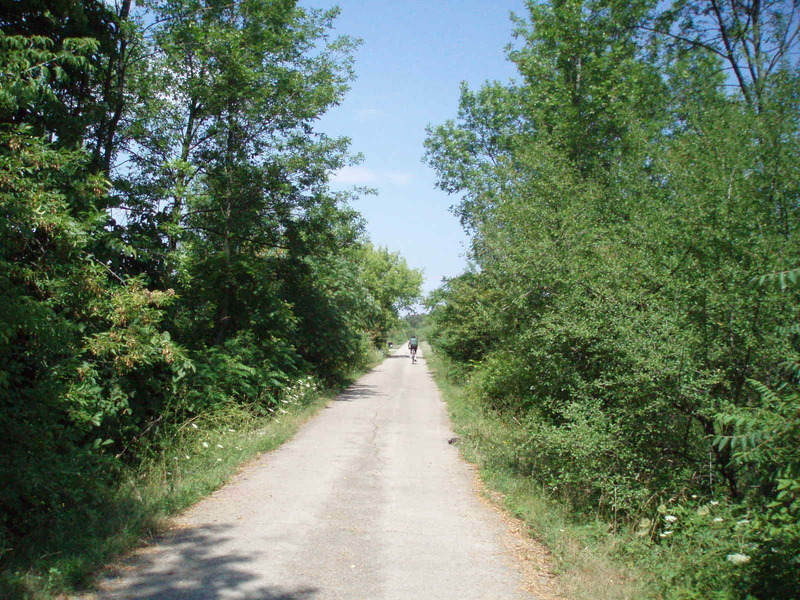 The Centennial Trail south of Appleby station is very easy to find, and worth the trouble. From the parking lot on the south side of the train, head west via the bike lane on Fairview. Look for the Starbucks on the southeast corner of Appleby Lane. The crosswalk to the south is the Trail. 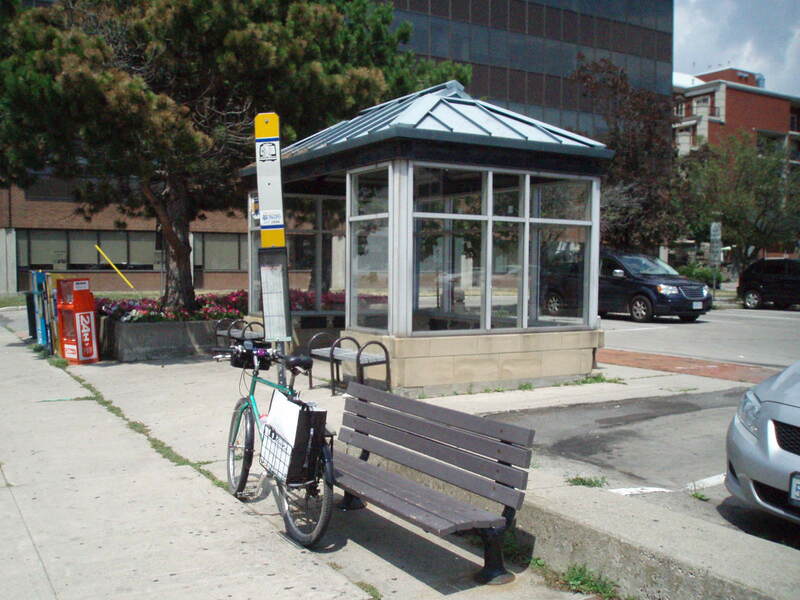 Recently paved, and well signed, you’ll have no problem finding downtown Burlington, and the HSR bus stop. Turn left when the Trail ends on Martha St., right on Pine, then right up John. The #11 Parkdale bus to Hamilton comes every half hour, is $2.35 – exact fare, and takes you across ‘Beach Strip’, through ‘Steeltown’, along the Red Hill Valley freeway, and up to the loop at Mud Street W and Winterberry Dr. 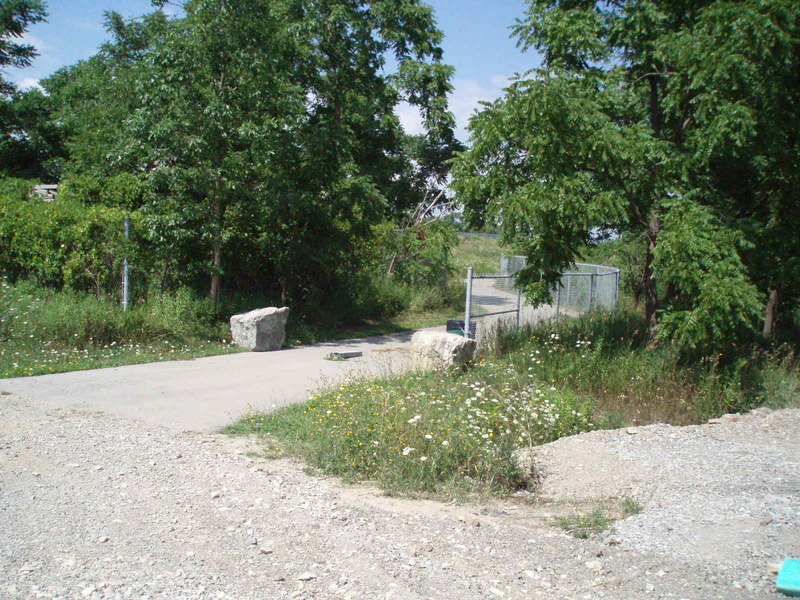 The bike trailhead is at the west end of Old Mud St., one block north on Winterberry. Watch all day for many a HSR bus sign – a reminder that you can easily jump a bus to save your legs, and “get out of town” anytime to enjoy some of Hamilton’s great greenbelt riding. 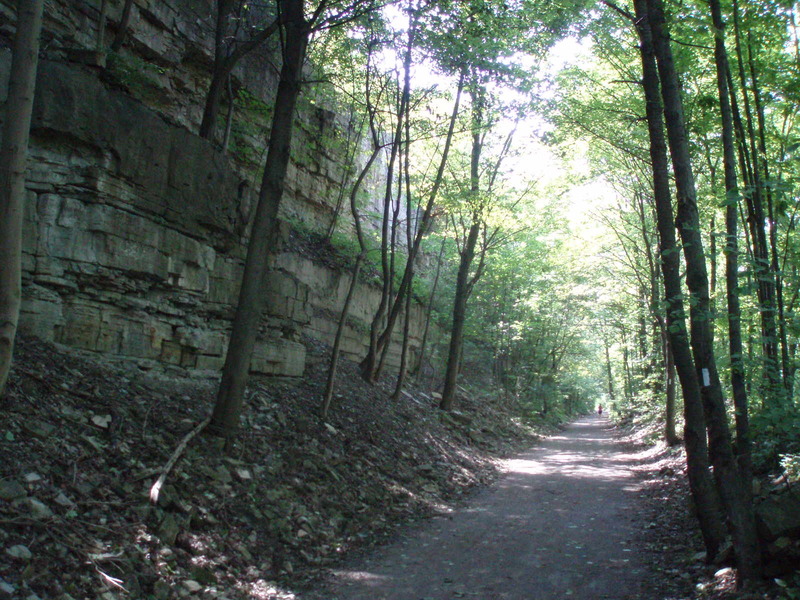 With Hamilton Bike Map in hand, set out westward first – saving the Red Hill Valley for later in the day – under the freeway take a right, and before you know it you’re rolling down, down, down to downtown via the Escarpment Rail Trail. 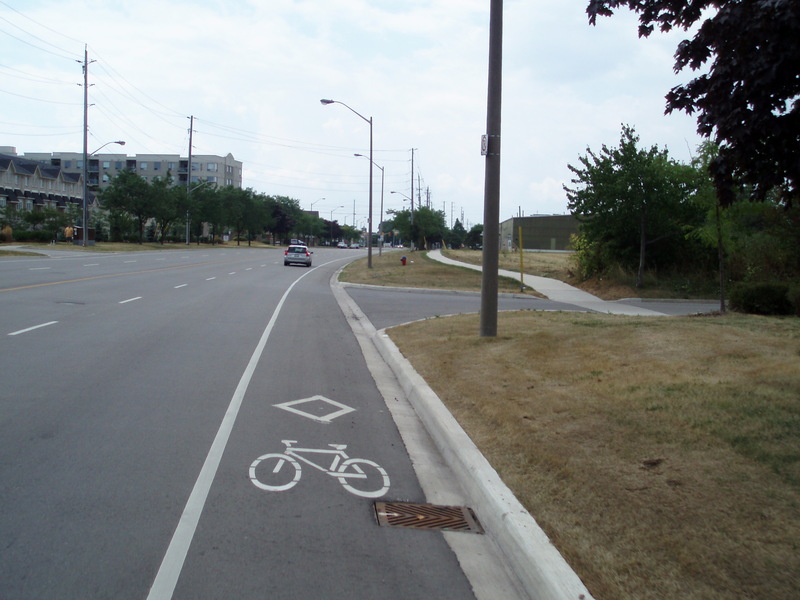 A signed bike route will take you safely through downtown Hamilton via Charleton Ave., then up, up, up (gradually) out of town again, west on the Chedoke Radial Trail. 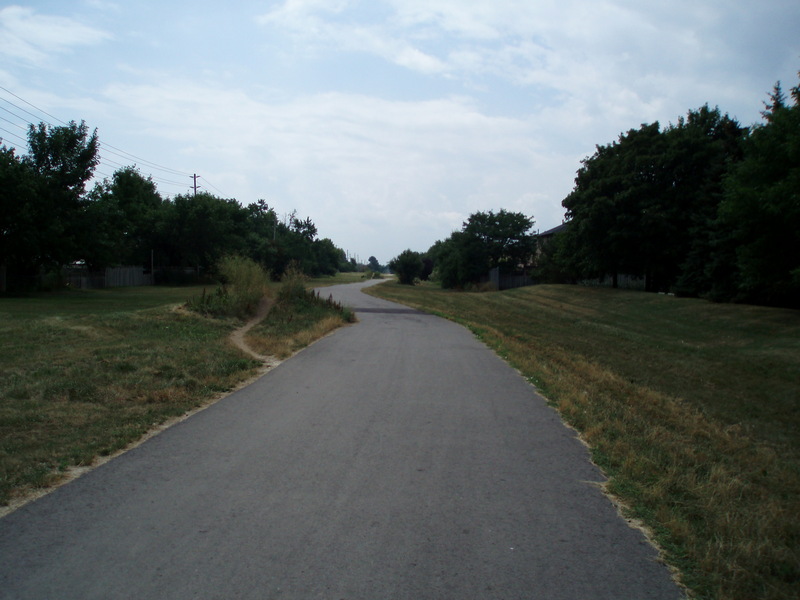 Follow the bike lane on Wilson St. to Jerseyville Rd. 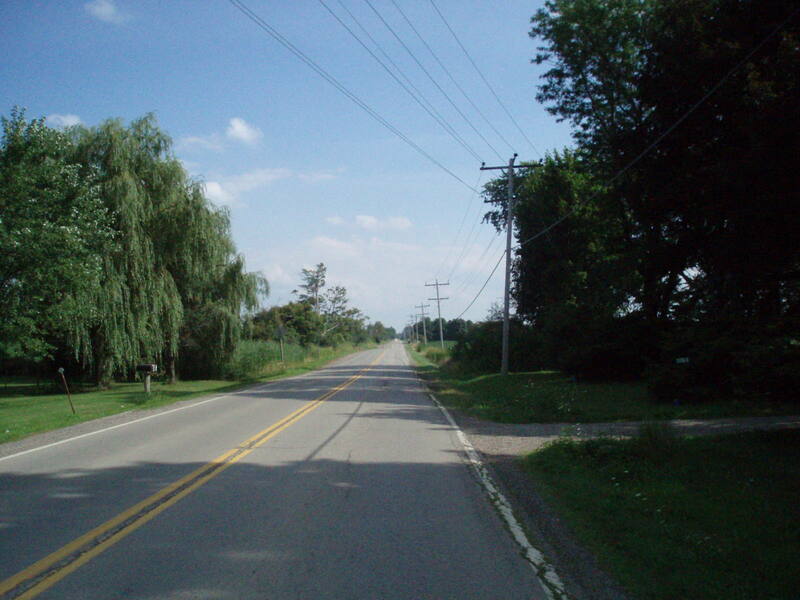 toward Ancaster – then make a long loop south on Shaver Rd. and east on Chippewa Rd. 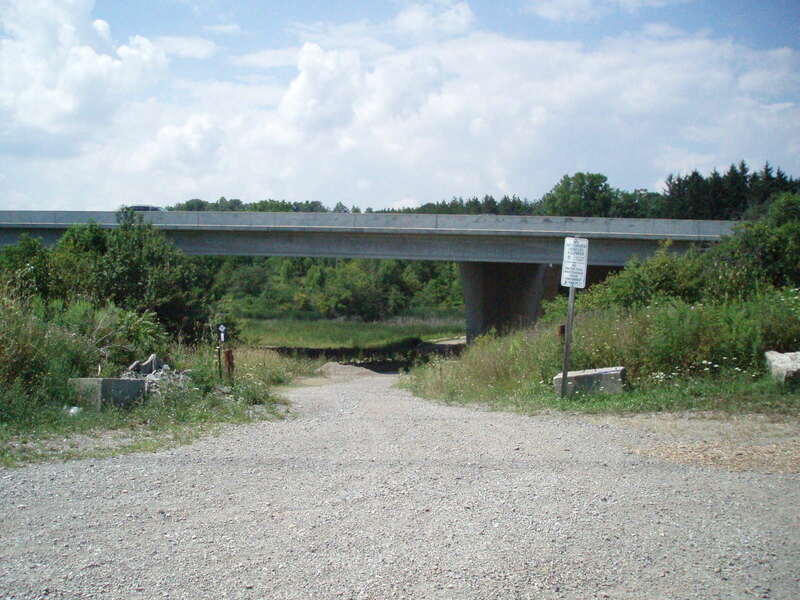 around the airport to the Chippewa Rail Trail – and north back to the Red Hill Valley trailhead where you started. One thing that continues to impress me when travelling by bikes and transit, and hearing from others, is helpful transit operators. When I got on the HSR bus in Burlington I asked the driver to let me off on the north corner of Old Mud St. When we approached the loop, he stopped the bus, called me to the front, and said I should get off there on the south side of Mud. If I stayed on around the loop, I’d have to wait out a half hour break. Good advice – much appreciated! I as well always appreciate the “local” cycling surprises that pop up when exploring by bikes and transit. Having ridden down the Red Hill Valley two years ago I knew the surrounding Winterberry and Stone Church Roads were high speed and dangerous for inexperienced biking. 48 months later? – no problemo. 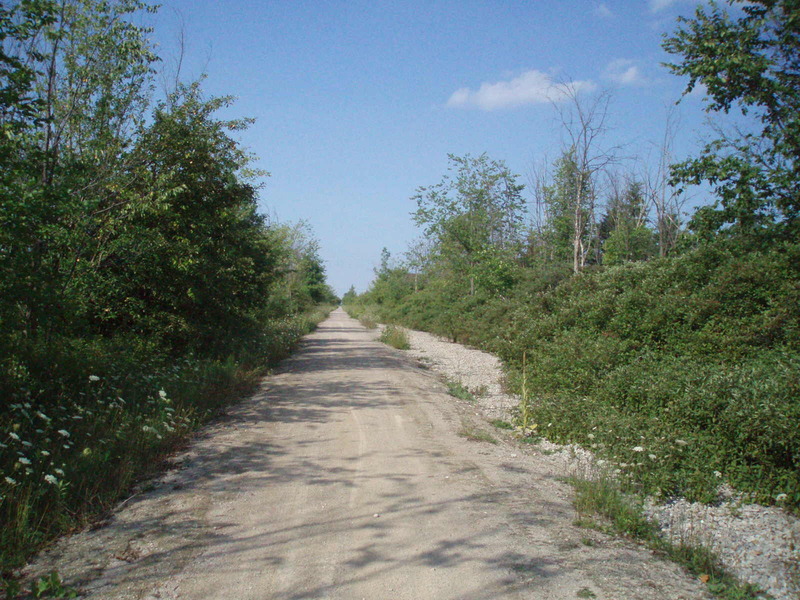 As I unloaded my bike from the bus, I looked down to find myself standing in a network of brand new bike lanes, leading me to and from the disconnected ends of the Chippewa Trail and Red Hill Valley trails. Nice! 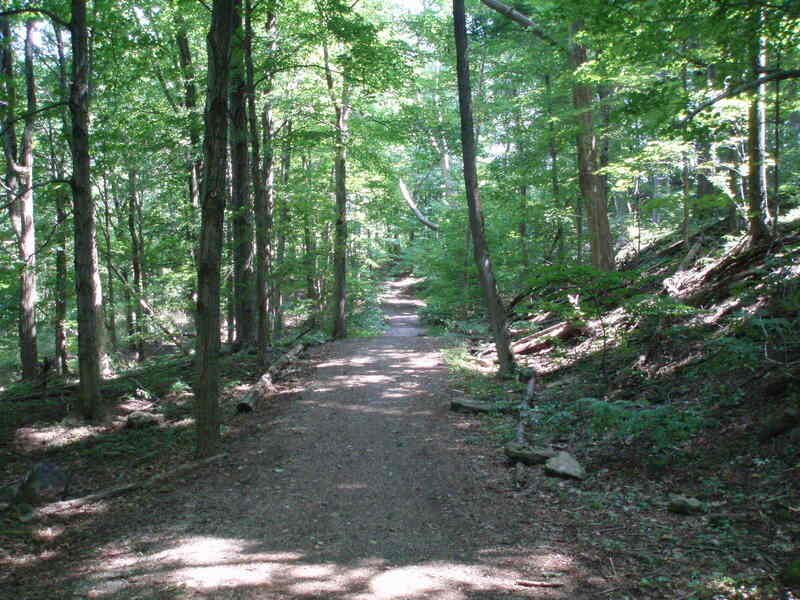 When doing this ‘Hamilton – South’ route, keep in mind the Red Hill Valley bike trail is quite “hilly”. So it is important to save some food and energy for the end, and the 10 kilometres of Waterfront Trail to the train in Burlington. “Hilly” might not be the exact word. It’s just up and down, up and down, up and down in a few places. 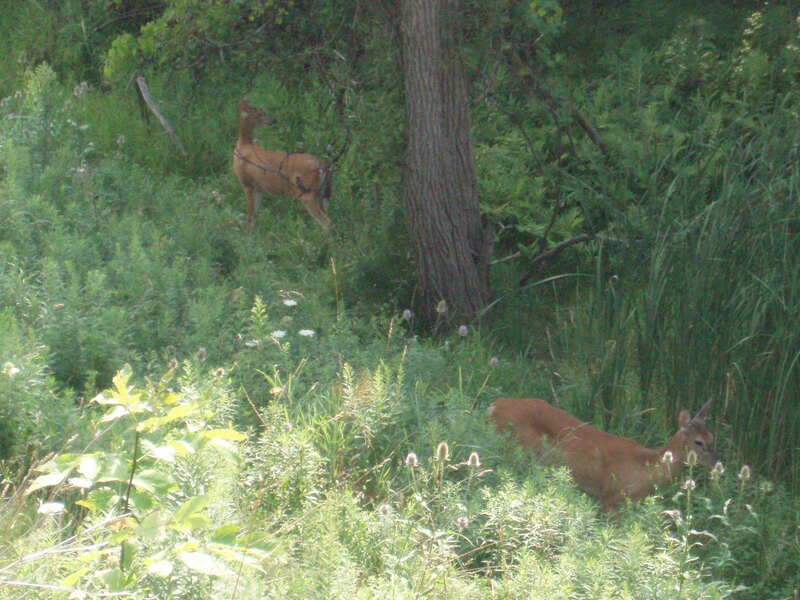 Keep your eyes on the trail, but, be sure to stop a few times to take in the amazing creek views. The City has done a great job solidifying the steep grades with a new concrete block surface system. Soon enough you’ll spot their stylish new pedestrian bridge in the distance. 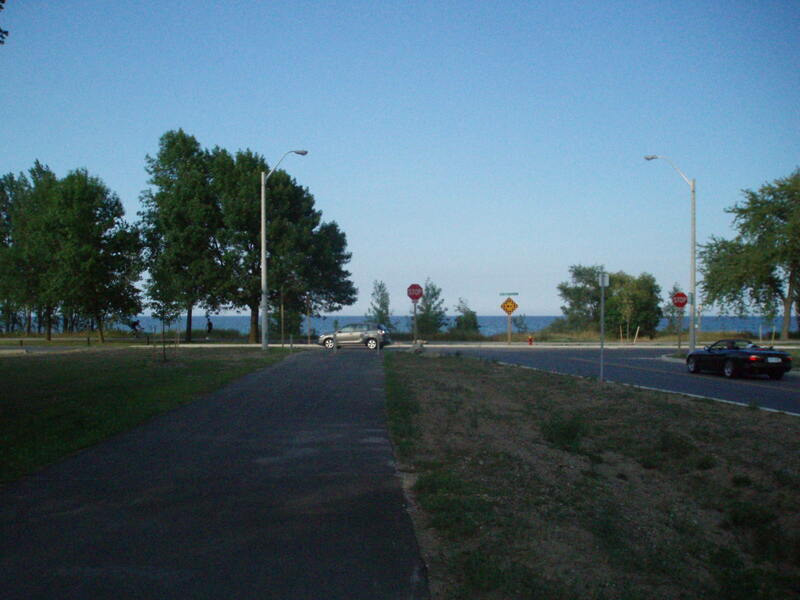 Over the QEW, join the Waterfront Trail northwest around the end of Lake Ontario. Total distance = 62 kilometres. Next up… Hamilton – North!